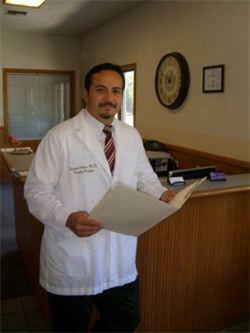 Dr. Leon has been practicing medicine in the central valley for over a decade. He is a graduate of the UCLA School of Medicine and completed his residency in Family Practice at the UCSF-Fresno Family Practice Residency Program. He has an interest in the treatment of obesity. We opened our office on 7/7/08. After years of practicing in a large group, Dr. Leon opened our office in order to better serve the needs of our patients. We focus on providing quality medical care without the long wait and frustration that you find in a large group practice. In our small office we provide comfort as well as quality medical care.